When will the two Old Testament prophets return back to earth? The end time mysteries of God are soon going to be revealed in this planet earth. Before delving in to the end time mysteries, we need to ask ourselves, ‘Who are the two Old Testament prophets who will be resuscitated and resurrected back in to their physical bodies? Is it Biblical to say that they will return back to the planet earth in their physical bodies? If it is, when will they appear on earth? Is it before the rapture or after the rapture of the Church takes place?’ These questions will clarify the mystery of the appearance of the two prophets of God during the end time. The Bible shows that at the end time the temple of God which was completely destroyed by the Romans in the first century [i.e. 70 A.D], will be rebuilded again in Jerusalem (Acts 15:16-17; Rev 11:1). The construction of this temple will start very soon, when the man Antichrist will “confirm a covenant with many [i.e. enemies of Israel, the nation of Israel and a league of countries] for one week [i.e. 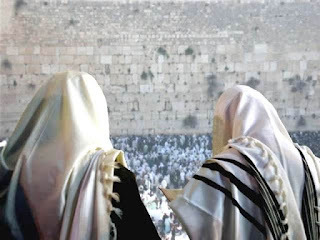 7years]…” to bring peace in the middle east and allow the Jews to rebuild their temple and start their ritual sacrifices to ‘Jehovah’ the God of their fathers, after nearly two millenniums have gone by. This successful endeavor of peace will makes the world marvel at the charisma and wisdom of the Antichrist (Rev 13:3). Exactly after the inauguration of the temple worship, the whole world will be looking towards Jerusalem’s temple and will be expecting a messiah to come and save the world out of destruction because “…on the earth [there will be] distress of nations, with perplexity [i.e. confusion], the sea and the waves roaring; “men’s heart failing them from fear and the expectation of those things which are coming on the earth…” (Luke 21:25-26). At this point of time there will be accelerated signs of the end times at its zenith like population explosion, disintegration of the morality and justice of society, disastrous weather pattern, unexplainable natural calamities globally, major financial chaos affecting nations around the world because of globalization, contagious plagues without remedial medicines and sudden famines that will cause food riots and pillaging. The Christians Church is right now looking for Jesus the Messiah to come and rapture them to heaven, the Jewish people are looking for their Messiah to come and rule the whole world, the Muslim people are looking for their own Mahdi [Islam’s awaited messiah] to come and destroy his enemies and rule the world. In other words, the whole world is becoming Messiah-conscious because of the distressing signs of destruction that is coming upon this world. This will be subtly used by Antichrist to establish the one world messianic solution to prevent the destruction of the world by establishing a one world government, one world religion and one world economy. Once the temple gets in to a functional mode, the Jews will establish a synagogue along with it and will start to proclaim a messianic message of salvation to the whole world and will boast about their belief to be the real one and the real Glorious Church to be a phony (Rev 3:9). But because the miraculous glory of God over the Church will manifest the power of God in an unprecedented way, even more than that of the first century Church, these Jews will start to feel angry, speechless and agitated against the Glorious Church (Rev 3:9; Isaiah 60:1-2). Exactly after 31/2 years of making a covenant with the nation of Israel, the covenant will be broken because Antichrist at that time will seat himself in the temple proclaiming himself as the messiah of the world and Christ (2 Thess 2:4; Matt 24:25-26). This event was also called by Jesus in the Book of Matthew as “‘the abomination of desolation’…standing in the holy place” (Matt 24:15). [Note: Antichrist first will stand inside the holy place for the first time in his life and then slowly may be days or weeks later he will be seated permanently inside the holy place proclaiming himself to be God]. Jesus warned the Church to be ready for the rapture when the instance of the abomination takes place (Matt 24:15-20). Jesus also said that at this point of time, there will be a great apostasy which will take place because of people heeding to the words of the Jewish False Prophets and their miraculous signs (Matt 24:23-25). Apostle Paul also confirmed this truth by saying that the rapture will not take place until the apostasy and then ‘abomination of desolation’ take place (2 Thess 2:1-4). At this time the Glorious Church of Jesus Christ will be ready and watchful for the rapture to take place any moment (1 Thess 4:13-18; 5:1-11). From the starting time of the daily sacrifices in the temple, to the cleansing of the temple from its abomination at the end of the Second Coming of Jesus Christ there will be 2300 days (Daniel 8:14). The daily sacrifices will not start exactly on the day the covenant will be confirmed with many for 7 years (Daniel 9:27), but it will start a few months later after the temple will be put in its rightful place in a super fast track construction because of advanced civil engineering technologies and easy availability of big time construction machines in today's world (Daniel 8:9-14; Rev 11:1-2). The Herod's temple was the one which stood at the time when Jesus came to the earth 2000 years ago (Matt 24:1). This Herod built 2'nd Temple's outer court is the place where the 'Dome of Rock - Al Aqsa Mosque' stands in Jerusalem's Temple Mount at the present time which will be used by the Gentiles [i.e. Muslims] according to Apostle John in Rev 11:2. The 'Dome of Rock' will stand there untouched during the end time, but a big modern day Jewish end time temple will be built adjacent to it covering the western wall [i.e. It is the only remaining piece of the wall of Herod built 2'nd temple nearly 2000 years ago] which is famously called in our times as 'Wailing Wall', so only Apostle John has written in Rev 11:2, "...leave out the court [i.e. Dome of Rock - Al Aqsa Mosque] which is outside the temple [i.e. which will be builded at the end time], ...do not measure it, for it has been given to the Gentiles [i.e. Non Jews]." During this time of apostasy, God Himself will send a strong delusion to those who will not receive the truth of the Gospel to be deceived by the false signs and wonders of the False Prophet and his group of prophets, who will point toward Antichrist as the messiah of the world by bringing fire from heaven (2 Thess 2:9-12). The nation of Israel will be deceived by this great wonder and will receive Antichrist as their Messiah and the False Prophet to be the real Elijah because of seeing the wonder of bringing real fire from heaven (Rev 13:13-15; John 5:43). The False Prophet will also place a image of Antichrist inside the Holy of Holies of the temple and will make the image to speak by giving breath to it after the end of 31/2 years from the time Antichrist stopped the sacrifices [claiming himself to be the one sacrifice for sin that has been offered forever at his first coming (Heb 9:26, 28; 10:11-18)] (Dan 12:11), this will done by the False Prophet because of God granting him the power to do this false wonder in order for the people who have not received the truth of the gospel to be deluded to believe a lie [i.e. to believe Antichrist as the real Christ and accept his 666 seal] before the Second Coming of Jesus Christ (Rev 13:14-18; 2 Thess 2:9-12). Satan himself will possess Antichrist and will also speak through the image of the beast. The breath of God will give voice to Satan through the image placed inside the Holy of Holies in the temple before the fate of Satan comes to pass (Rev 13:15). Satan will speak and direct the world to worship himself by speaking through the image. So the whole world will finally worship Satan at this point of time which has been his only desire since his fall from heaven (Matt 4:9; Isaiah 14:12-15; Ezek 28:1-2, 6, 9, 14-19). Immediately after Antichrist stands in the Holy place to seat himself as God of the whole earth, the Church will suddenly be raptured and chaos will reign over the whole earth (Matt 24:15; 2 Thess 2:4). Many news channels will be airing this strange and sudden disappearance of people to be an alien abduction and a UFO invasion of the planet earth. All the watchful believer’s will be part of the greatest escape of all time from the wrath of God (1 Thess 1:10; 5:9; Rom 5:9; Luke 21:36; Rev 3:10). The moment rapture of the Church takes place, immediately the great tribulation wrath of God will start (Matt 24:20-29). God’s wrath will come upon people because of rejecting the truth of the Gospel of Jesus Christ. From this time to the Second Coming of Jesus will be 1335 days according to the Book of Daniel (Daniel 12:12). Three and half years after the covenant is put in place for the Jews to conduct temple worship and sacrifices, it will be stopped by Antichrist and he will try to seat himself as the messiah the Christ of the world (2 Thess 2:4). The original covenant will be a 7 year covenant of peace for Israel. From the point of the breaking of the covenant by stopping the daily sacrifices to the time the image of the beast is placed inside the Holy of Holies at the culmination of the ‘abomination of desolation’ [i.e. Satan speaking through the image instructing the world to worship him], there will be 1290 days (Daniel 12:11; Rev 13:14-18). If we ask the question, why is it that Antichrist was not able to immediately place the image of the beast of the ‘abomination of desolation’ inside the Holy of Holies? It is because right after the rapture the two anointed prophets of God will descend in to the temple of God and oppose this activity of Antichrist and his Satan possessed desire to place the image of himself in the Holy of Holies for the earth to worship it directly instead of God. It will take such a long time for the desire of Satan to be fulfilled because of the Prophets who will oppose this satanic manifestation and will prophecy for 1260 days bringing in to the earth the wrath of God expecting the people of the world to repent. People who want to harm these OT Prophets will be burnt by fire through the prophetic decree of their mouth (Rev 11:1-6). The identities of the two Old Testament prophets have been revealed in glimpses in the Bible. One is Elijah the prophet who was taken in to heaven not seeing death at all (2 Kings 2:11). There was a strong belief among the first century Jews that Elijah the prophet will return back to restore the kingdom of God on earth before the Messiah steps in to the city of Jerusalem to rule the earth from the temple of God. Their belief was based upon the scriptural interpretation of Malachi 4:5-6. When the disciples asked Jesus to interpret the same scriptural belief, Jesus did not deny its truth but instead He interpreted the timing on two counts. One was his First Coming and the next was at His Second Coming. Jesus emphasized spiritual deliverance from evil in His First Coming and said of John the Baptist as one who has already come in the spirit capacity of Elijah. And Jesus promised that at the time of His Second Coming there will be a physical and a political deliverance from the world ruling system of evil. He also confirmed that Elijah will physically return back to earth in view of restoration of all things toward God, to turn people away from the Satanic world system of governance (Matt 17:10-13; Acts 3:20-21). The other prophet who did not physically die but was taken by God in to heaven directly was Enoch (Gen 5:24; Heb 11:5). Faith comes by hearing, and hearing by the [rhema] word of God [which comes to us in active present tense realm of God] (Rom 10:17). Apostle Jude by inspiration from God wrote how Enoch prophesied about Christ’s Second Coming to judge the earth and rule it. My question to you is, How could Enoch prophecy something that he was not aware of? This shows that God revealed to Enoch the end time scenario of His Second Coming and the part Enoch will have in ushering in the kingdom age of Christ (Jude 14-15). By hearing God speak about the end time scenario, Enoch would have got a prophesying measure of faith to tell about the future of the saints, sinners and himself at the Second Coming of Jesus Christ (Rom 12:3, 6; 10:17; Jude 14-15). The other confirmation that the two Old Testament prophets described by Apostle John in Rev 11:3-6 are surely Elijah and Enoch is based on the word of God that says, “…it is appointed for men to die once” (Heb 9:27). Apostle John in the Book of Revelation specifically speaks about both of them dying physically for three and half days in the end time scenario and then suddenly getting resurrected and ascending in to heaven in a cloud. This indirectly emphasizes that both of them arrived to die and return back to heaven in their glorious body. This also shows that both these prophets were not resurrected when Jesus got resurrected in His First Coming along with all the Old Testaments prophets and saints (Matt 27:52-53). Both of them have gone to heaven along with resurrected Jesus and other Old Testament saints but without the glorious body and are waiting before the throne of God to come back to the planet earth to partake in the main role of the end time scenario and then die and return back to heaven with their glorious body (Eph 4:8-10; Rev 6:9-11; Zech 4:11-14; Rev 11:3-6). Only two person in the history of the planet earth and the Bible have been separated, consecrated and set apart to stand beside the throne of the Lord of the whole earth, without ever physically dying. These are none other than Elijah and Enoch (Zech 4:14). So both of them will again be resuscitated and resurrected back in their physical bodies. Think about it for a moment, the two Old Testament prophets arriving on earth with their physical bodies! Wow! It will surely be enigmatically mysterious to all the people of the world. The purpose of their visitation is to turn back the nation of Israel towards their true Messiah Jesus Christ whom they have rejected at His First Coming (Matt 23:37-39), and the world to repent and receive the true God through Jesus Christ without which there is no salvation for any man in this earth (Acts 4:12). They will arrive on earth the moment rapture takes place and will prophecy for 1260 days, not one day less or one day more (Rev 11:3-4). The rapture of the Church will happen during the time of the falling away of believers from true faith [i.e. apostasy] as described by both Jesus and Apostle Paul (Matt 24:15, 23-28; 2 Thess 2:3-4). This is the reason both Jesus in the Gospel’s and the Apostle Paul in his epistles have already warned and exhorted the end time believer’s to be prayerful and watchful so that they will be able to escape the unprecedented wrath of God and the Tribulation from Antichrist (Luke 21:36; 1 Thess 5:6, 9, 11; Rev 3:10). The conspiracy of Antichrist will be to take subtle control of the whole wide world spiritually, politically and financially. A new world order will be formed with an ultimate aim to control the world by forming one world united religion, one world government and one world cashless society (Rev 13:15; 1 Thess 5:2-4; Rev 13:16-18). The two Old Testament prophets will oppose this conspiracy of the Antichrist and the False Prophet. After 1260 days of such opposition as pointed by God, the beast [i.e. the demonic principality which have been bound inside the bottomless pit for a long time due to lawlessness (Jude 6)] from the bottomless pit which is the olden days prince of Greece will possess Antichrist and will rejuvenate him back to overcome the prophets and kill them (Rev 11:7; 13:2; Daniel 10:20; 8:21-26; 7:6-8, 17-27; 7:21-22; Rev 17:8). This will be the time Antichrist will be mortally wounded by a Messianic Zealous saint and will miraculously recover by the power of the demonic principality of the prince of Greece possessing him. This will make the whole world to marvel at Antichrist and in turn allow him to place the image of himself in the Holy of Holies inside the temple. Satan will in turn sit inside the image of the beast and will speak through it to make the whole world to worship him. In turn the whole wide world will worship Satan openly and will acknowledge his miraculous power to resurrect people back to life. The whole world will confess at that point of time and declare, “Who is like the beast? Who is able to make war with him?” (Rev 13:3-4). The prince of Greece is the same spirit which influenced and drove Alexander the Great to conquer the whole world in a shortest period of time. The physical body of both Elijah and Enoch will lie in the street of Jerusalem and the whole world will not allow the bodies to be buried immediately. It will be telecast live in all the television networks and internet for all the people of the world to see and hear about the great exploit of Antichrist (Rev 11:8-9). The whole world will rejoice with Antichrist the death of Elijah and Enoch because they would have tormented the earth dwellers [i.e. antichrist followers] for nearly three and half years. For three and half days they will celebrate the death of Elijah and Enoch, a day representing each year (Rev 11:10). After those 31/2 days suddenly the breath of life from God will enter both Elijah and Enoch and they will stand on their feet, suddenly a great fear will fall on those who see them alive. They both will ascend in to heaven as like Jesus ascended in to heaven in a cloud when his disciples watched him intently (Acts 1:9-10). This time all the enemies of the two prophets [i.e. Antichrist and his earth dwelling followers] will see them ascend in to heaven in a cloud (Rev 11:11-12). Immediately after this supernatural event of the ascension of the two Old Testament prophets, a great earthquake will hit Jerusalem and 1/10th of the city will fall. Seven thousand people will be killed by this great earthquake. All the rest of the people who live at that period of time will be afraid and give glory to the God of heaven (Rev 11:13). And this will make Antichrist even more furious to finally convince people to place the image of the beast in the Holy of Holies. The false prophet will subtly use the chance to place the image of the beast inside the Holy of Holies and will cause the image to speak. Satan will speak through the image and will finally make the whole world to worship him unhindered. The whole world will marvel at this marvelous event and Satan will be worshipped as god of the earth at this point of time (Rev 13:14-15; Daniel 12:11). Many people of God have the wrong belief that the Tribulation time will be a time of Satanic ruler ship unhindered in this planet earth. But it is wrong and unscriptural to think like this because God will show forth His sovereign glory and power through the two mighty Old Testament prophets Elijah and Enoch throughout the 31/2 years period with in the Great Tribulation. The Antichrist, False Prophet and Satan will try their best to kill them before God’s appointed time of 1260 days (Rev 11:3). The wrath of God will be directed toward Satan and his followers. Then God will show forth His glory through Elijah and Enoch until the 42 months period of set time gets over. God will rule over the Great Tribulation, and the supremacy and the power of Jesus Christ will be revealed and displayed by the two prophets in an unprecedented way to the whole world (Matt 24:20-22). The content of the message of the prophets during these 1260 days will also be to repent and turn to God away from the idols by accepting the true Messiah Jesus Christ (Rev 9:13-15, 20-21; 16:10-11). The 144,000 Jewish Messianic believers will be sealed and saved untouched throughout the tribulation time (Rev 7:3-8). They will all bear great testimony to power of God and the Gospel of the Messiah Jesus. They will live as a God’s testimony and revelation of His sovereign power to the unbeliever’s even up to the Second Coming of our Lord Jesus back to the earth. So according to God, during the whole time of the 7 years covenant of Antichrist with the nation of Israel, he will not be able to make the whole earth to worship him and also place the image of the beast of the ‘abomination of desolation’ inside the Holy of Holies during the end time (Dan 9:27; 12:11). Only after the two Old Testament prophets die, get resurrected after 3 ½ days and ascend to heaven in a cloud, will the Antichrist, False Prophet and Satan be able to implement that statue in the Holy of Holies and then will make the whole earth to completely submit to the satanic worship system of the end time without much opposition from any major prophetic power houses of God like Elijah or Enoch (Rev 13:15). The believing Tribulation saints will be at war with Antichrist during the whole time of Tribulation. Many saints will die for Christ’s name by neglecting the seal of Antichrist upon their foreheads or their right hand (Rev 13:16-17). The saints who die during the time of the Great Tribulation starting from the ‘abomination of desolation’ to the time of Christ’s Second Coming will be “…a great multitude which no one could number…” (Rev 7:9, 14). Jesus will shepherd these tribulation saints during the millennium reign and will comfort them for all the trials they will have gone through during the Great Tribulation for the name sake of Jesus Christ (Rev 7:15-17). Even though Satan will try to rule the earth through Antichrist under the influence of the False Prophet, there will be the tangible witnesses and testimonies of the triumph of the saints by the power of God, even up to the Second Coming of Jesus Christ (Dan 11:31-36). Glory to God! The wrath of God against Antichrist will be specific at the end of the witnessing period of Elijah and Enoch, this will further infuriate him to somehow kill these two witnesses (Dan 11:36; Rev 16:10-11). Thus the whole Book of Revelation is not about knowing the timing of Antichrist appearance or the timing of the rapture of the Church, rather it is all about knowing more intimately the power of our Sovereign Lord Jesus Christ who is in control of the whole universe (Mark 14:62; Matt 28:18; Phil 2:9-11). Praise the Lord!